We were pretty pumped when we heard this Florida company name-drop Cincinnati in their now-widely-shared video, which shows them demonstrating candy-making on their refurbished candy machine. 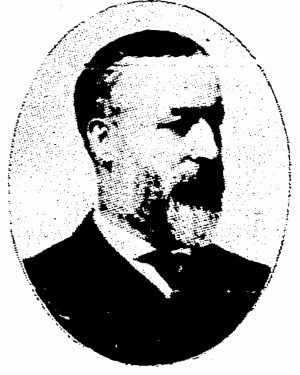 From the Cincinnati Post, 6 July 1910. St. Francis de Sales Church in Walnut Hills was resplendent in 1910 for the funeral of candy maker John Mullane. Flowers from far and near graced the church and even Mullane’s coffin was draped with a floral blanket. During a moment of silence, eight little children, four girls and four boys, walked slowly up the center aisle and each placed a small bouquet atop the casket. They were wards of the St. Joseph Orphan Asylum, beneficiaries of Mullane’s charity. “The incident moved many of those present to tears,” the Enquirer reported. On John Mullane’s death in 1910, his sons took over the business and maintained the “Candy Palace” on Fourth Street into the 1930s. The soda fountain was legendary and Mullane’s ice cream was often acknowledged as the city’s best. From display cases, customers individually selected candies to fill a box, choosing from bon-bons, nut chocolates, taffies and more. 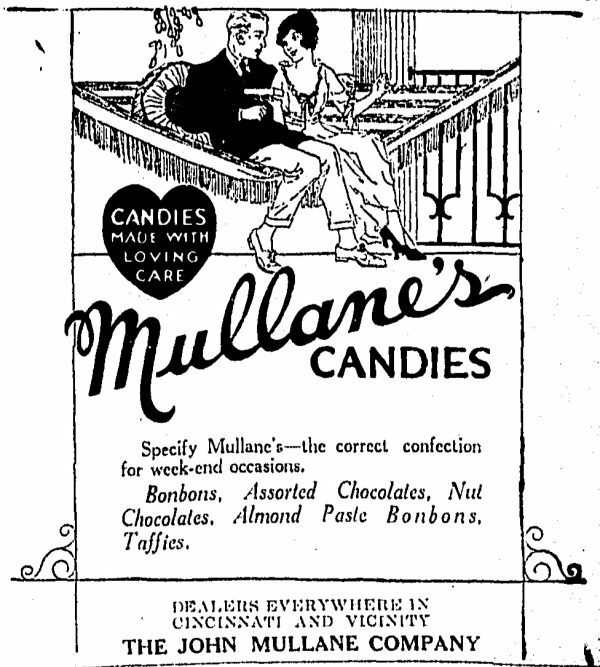 Mullane’s manufactured its products on the five upper stories and shipped candies to fifty retailers in 26 states. Advertisement from The Cincinnati Enquirer, December 1921. When the Carew Tower opened in 1933, Mullane’s moved into Cincinnati’s newest landmark. The shop at 429 Vine Street was retail only, candy and ice cream production now taking place in the grittier environs of Hammond Street, near Third. 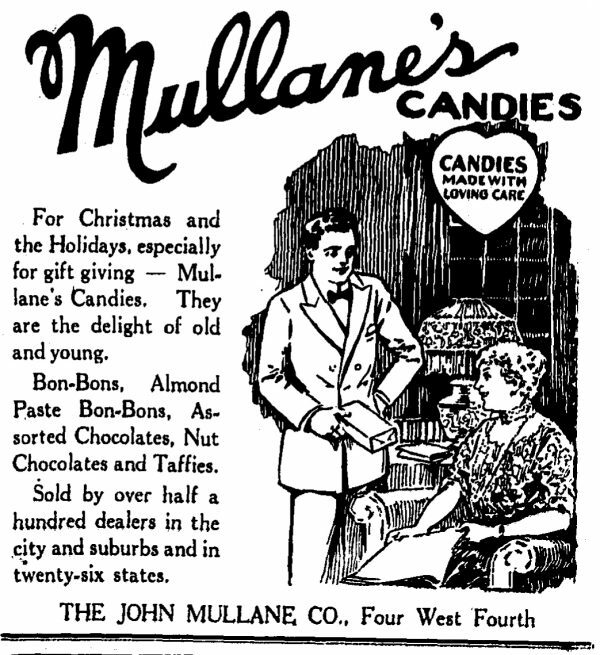 Mullane Candies went out of business in the 1980s and some of the company’s hard-candy machinery ended up at Tallahassee Florida’s Lofty Pursuit confectioners. Lofty Pursuit, which promotes “Public Displays of Confection,” continues to offer Mullane’s nectar-flavored drops. Kim Cole purchased Mullane’s Race Street restaurant and reopened it as Mullane’s Parkside Café in 1986. On her death in 1990, Cole’s friend David Tape took over the vegetarian-friendly and arts-supporting café. Ruth Cummings balanced the books for Mullane’s, which closed in 2004. When Ruth Cummings died in 2007, she left a bequest to David Tape who invested it in opening Ruth’s Parkside Café in Northside, in partnership with Mary Kroner, a former Mullane’s manager.